After two decades of debate on how to improve the situation, the Company finally introduced the Permanent Settlement in 1793. 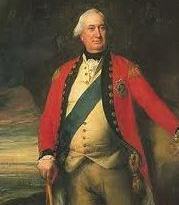 Cornwallis was the Governor General of India when the Permanent Settlement was introduced. By the terms of the settlement, the rajas and taluqdars were recognised as zamindars. They were asked to collect rent from the peasants and pay revenue to the Company. The amount to be paid was fixed permanently, that is, it was not to be increased ever in future. It was felt that this would ensure a regular flow of revenue into the Company’s coffers and at the same time encourage the zamindars to invest in improving the land. Since the revenue demand of the state would not be increased, the zamindar would benefit from increased production from the land. The Permanent Settlement, however, created problems. Company officials soon discovered that the zamindars were in fact not investing in the improvement of land. The revenue that had been fixed was so high that the zamindars found it difficult to pay. Anyone who failed to pay the revenue lost his zamindari. Numerous zamindaris were sold off at auctions organised by the Company. By the first decade of the nineteenth century the situation changed. The prices in the market rose and cultivation slowly expanded. This meant an increase in the income of the zamindars but no gain for the Company since it could not increase a revenue demand that had been fixed permanently. Even then the zamindars did not have an interest in improving the land. Some had lost their lands in the earlier years of the settlement ; others now saw the possibility of earning without the trouble and risk of investment. As long as the zamindars could give out the land to tenants and get rent, they were not interested in improving the land. By the early nineteenth century many of the Company officials were convinced that the system of revenue had to be changed again. In the North Western Provinces of the Bengal Presidency (most of this area is now in Uttar Pradesh), an Englishman called Holt Mackenzie devised the new system which came into effec t in 1822. He felt that the village was an important social institution in north Indian society and needed to be preserved. Un d e r his directions, collectors went from village to village, inspecting the land, measuring the fields, and estimated the revenue for each plot. The village(mahal) had to pay the combined revenue for all plots in the village. This demand was to be revised periodically, not permanently fixed. The charge of collecting the revenue and paying it to the Company was given to the village headman, rather than the zamindar. This system came to be known as the mahalwari settlement. In Munro system, the settlement had to be made directly with the cultivators (ryots) who had tilled the land for generations. Their fields had to be carefully and separately surveyed before the revenue assessment was made. Munro thought that the British should act as paternal father figures protecting the ryots under their charge. But driven by the desire to increase the income from land, revenue officials fixed too high a revenue demand. Peasants were unable to pay, ryots fled the countryside, and villages became deserted in many regions. Optimistic officials had imagined that the new systems would transform the peasants into rich enterprising farmers. But this did not happen. The British forced cultivators in various parts of India to produce other crops: jute in Bengal, tea in Assam, sugarcane in the United Provinces (now Uttar Pradesh), wheat in Punjab, cotton in Maharashtra and Punjab, rice in Madras along with opium and indigo. The indigo plant grows primarily in the tropics. When Britain began to industrialise, and its cotton production expanded dramatically, creating an enormous demand for cloth dyes. While the demand for indigo increased, its existing supplies from the West Indies and America collapsed for a variety of reasons. Between 1783 and 1789 the production of indigo in the world fell by half. Faced with the rising demand for indigo in Europe, the Company in India looked for ways to expand the area under indigo cultivation. From the last decades of the eighteenth century indigo cultivation in Bengal expanded rapidly and Bengal indigo came to dominate the world market. In 1788 only about 30 per cent of the indigo imported into Britain was from India. By 1810, the proportion had gone up to 95 per cent. As the indigo trade grew, commercial agents and officials of the Company began investing in indigo production. Over the years many Company officials left their jobs to look after their indigo business. There were two main systems of indigo cultivation – nij and ryoti. Within the system of nij cultivation, the planter produced indigo in lands that he directly controlled. He either bought the land or rented it from other zamindars and produced indigo by directly employing hired labourers. Less than 25 per cent of the land producing indigo was under this system. The rest was under an alternative mode of cultivation – the ryoti system. Under the ryoti system, the planters forced the ryots to sign a contract. At times they pressurised the village headmen to sign the contract on behalf of the ryots. Those who signed the contract got cash advances from the planters at low rates of interest to produce indigo. But the loan committed the ryot to cultivating indigo on at least 25 per cent of the area under his holding. The planter provided the seed and the drill, while the cultivators prepared the soil, sowed the seed and looked after the crop. When the crop was delivered to the planter after the harvest, a new loan was given to the ryot, and the cycle started all over again. Peasants who were initially tempted by the loans soon realised how harsh the system was. The price they got for the indigo they produced was very low and the cycle of loans never ended. There were other problems too. The planters usually insisted that indigo be cultivated on the best soils in which peasants preferred to cultivate rice. Indigo, moreover, had deep roots and it exhausted the soil rapidly. After an indigo harvest the land could not be sown with rice. In March 1859 thousands of ryots in Bengal refused to grow indigo. As the rebellion spread, ryots refused to pay rents to the planters, and attacked indigo factories. As the rebellion spread, intellectuals from Calcutta rushed to the indigo districts. They wrote of the misery of the ryots, the tyranny of the planters, and the horrors of the indigo system. Worried by the rebellion, the government brought in the military to protect the planters from assault , and set up the Indigo Commission to enquire into the system of indigo production. The Commission held the planters guilty, and criticised them for the coercive methods they used with indigo cultivators. It declared that indigo production was not profitable for ryots. The Commission asked the ryots to fulfil their existing contracts but also told them that they could refuse to produce indigo in future. When Mahatma Gandhi returned from South Africa, a peasant from Bihar persuaded him visit Champaran and see the plight of the indigo cultivators there. Mahatma Gandhi’s visit in 1917 marked the beginning of the Champaran movement against the indigo planters.